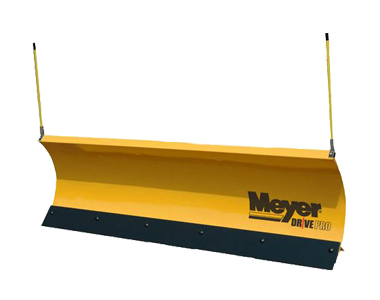 Mount this Meyer 52555 72 inch Drive Pro Plow to your airport tractor and start clearing snow quickly. Mounting is made easy with the combination of the EZ Mount Plus and the free-standing jack to eliminate struggling in cold, snowy weather. 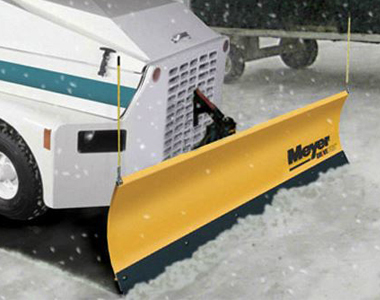 Control this plow with an easy-to-use remote that offers one button for each function and a back-light for better visibility. And, the 72 inch steel plow is coated with Dura-Slick paint for better rolling action. 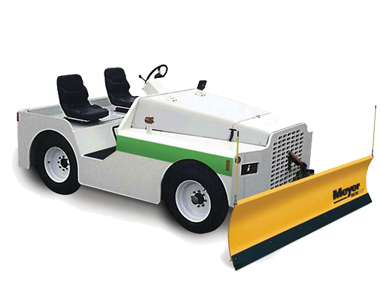 EZ-Mount Plus: Conveniently attach this plow in under a minute to any standard airport tractor with just one plug to eliminate struggling in the cold and wet weather. 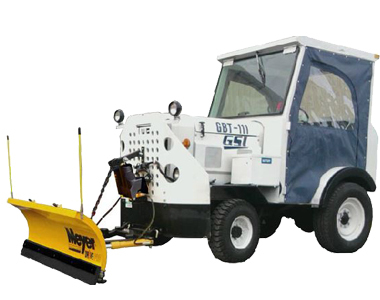 Free-Standing Jack: Adjustments to the plows height on uneven surfaces is available with the free-standing jack. 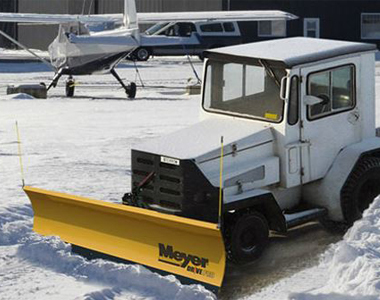 Ask us about the Meyer 52555 72" Drive Pro Airport Tractor Snow Plow. Please no repair questions. Your Q&A may be posted to SnowblowersAtJacks.com to help other shoppers, like you, with their purchasing decisions. Thank you.